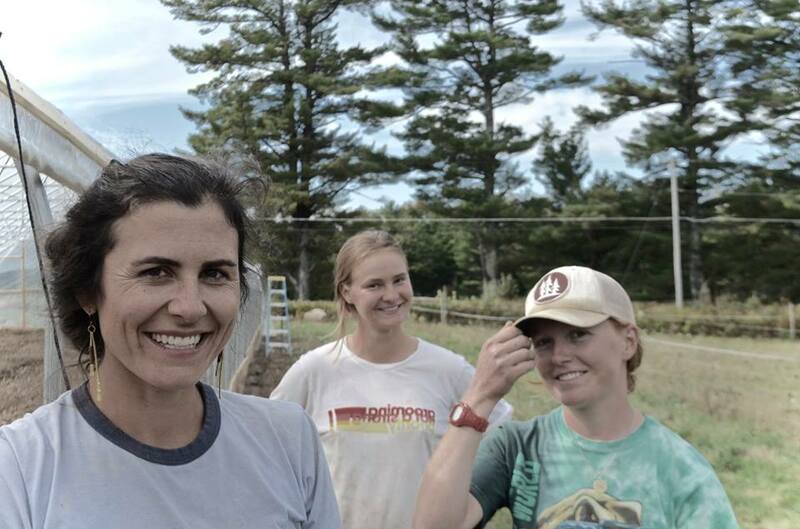 Each year we take on a number of apprentices to share the joys (realities) of the farm life. 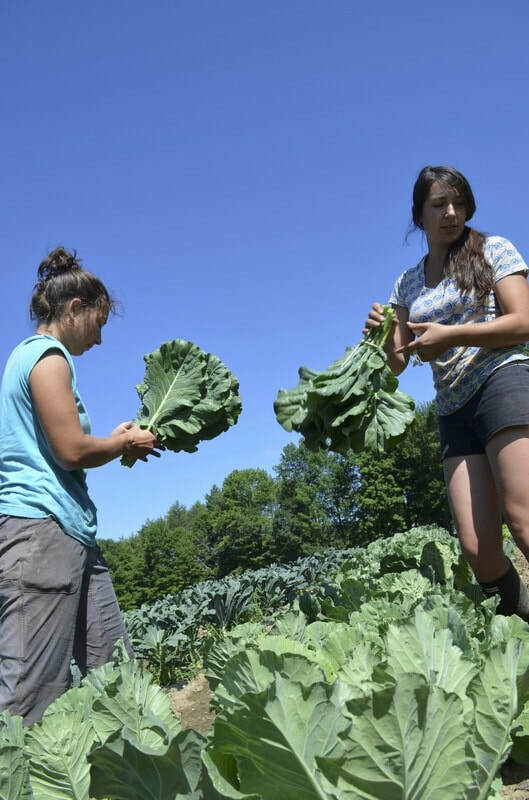 Apprentices come to work for us for the season, and in return we provide extensive hands-on training in every aspect of our farm business. We also always welcome short term WWOOFers. We are looking to fill four positions for the 2018 season. 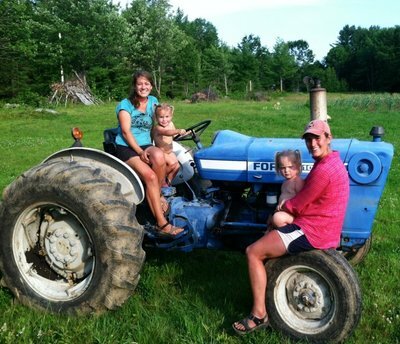 Please head to MOFGA's website to read a description of life at the Hancock Family Farm, then drop us a line or shoot an email and we'll get the ball rolling... we are cumberland - 23. 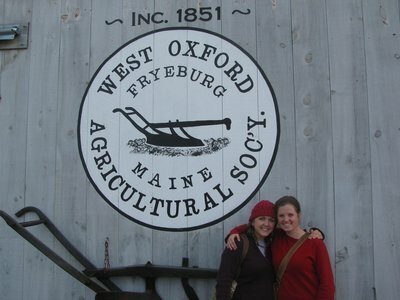 Abby - "The summer I spent at Hancock Family Farm will definitely be remembered for a long time to come. Geof and Gina are characters, and there were lots of good vibes. They know a lot about farming and were always ready to answer any question I had. They welcomed me into their family when I was there. It was way more than just a job. We worked very hard and there were many harvest days that ended late, but they were always countered by "sidewards" afternoons and doughnut runs. There was always music playing, even if we were planting on a tractor... I really had a great time farming with them. The farm is incredibly beautiful, making many hard days infinitely better. I learned a lot from them - about farming and about my own goals-and they couldn't have been nicer people. " Mike - "I have been trying to describe my season at HFF to friends and family and I can’t seem to find a word, phrase, or sentence to give it justice. The knowledge and perspective I gained while working for Geof and Gina is irreplaceable. Vegetables, fencing, building a walk-in cooler, haying out a barn, cutting squash, roto-tilling... Those are just a few out of dozens of things I learned about at HFF. It made the person, worker, and farmer I am today. Some blood, a lot of sweat, and maybe a couple of tears were shed during my season. My season at HFF will always have a special place in my life and I will forever be thankful for what Geof and Gina have done for me and continue to do for me!" Matt - "I still have dreams that I'm back on the farm. I didn't realize how much I'd learned at the HFF until after I'd left. Gina's the Swiss Army knife of the farm. She balances her roles as a mentor, mother, organizer, planner, diplomat, friend, farmer and croquet shark perfectly. Geof will get the best out of you, whether you like it or not. He's contagiously optimistic, a tireless motivator with a comedian's streak who'll ask a lot of you but always put you in position to succeed. I still hear him chirping off in the back of my mind every time I start to doubt myself. There is no other Geof Hancock in this world. You'll laugh, you'll cry, you'll sweat, you'll freeze, you'll get lost in the woods, caught in the rain, stuck in the mud, you'll curse your life and you'll look up and wonder why you got so lucky to be right where you are, with the people you're with, doing what you're doing, surrounded by so much of nature's simple beauty and honest grace. You'll write an apprentice testimonial even sappier and more sentimental than this. Leaving HFF felt like leaving home. I wouldn't trade my time in Maine for anything. There's magic on the mountain." Heather - "I had the opportunity to work for Geof and Gina for a short time last fall. When I think about my time there, I feel whole and happy. I learned a lot while I was there. Of course, Geof and Gina both taught me important day-to-day skills for farming and marketing successfully. But I also learned a bit about the history and the community of where we farmed, the essence of that town, and I got a glimpse at how farming and family come together. 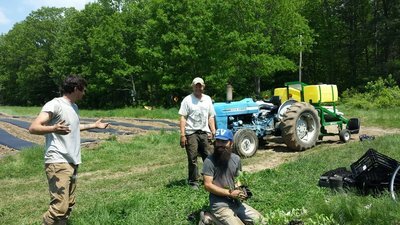 The Hancock Family Farm is an amazing place, and apprenticing there fueled my desire to pursue farming as my life work. 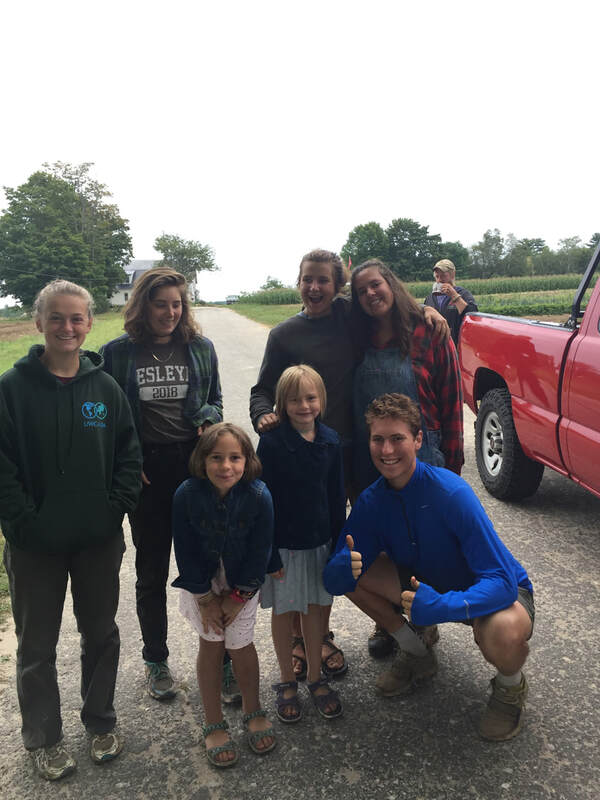 The farmers are funny people, and it's the combination of humor and passion that I remember when I think of all the folks I got to work with and meet through the HFF." 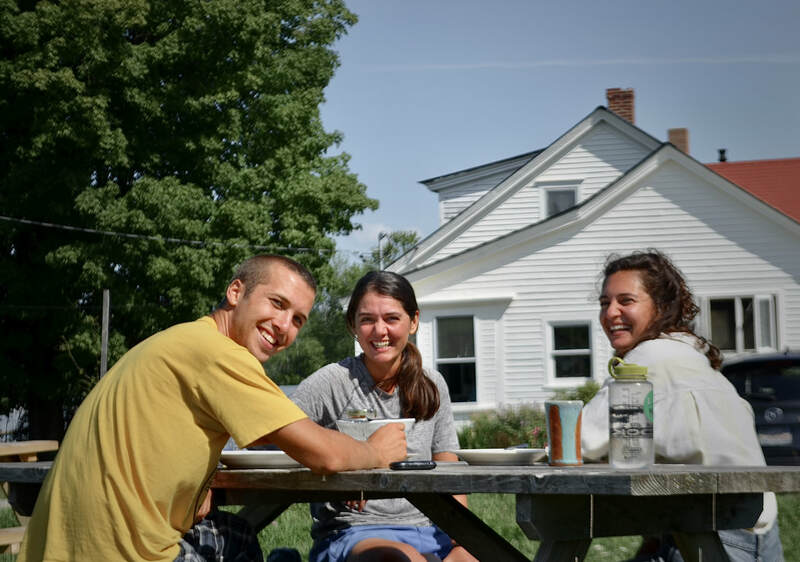 Melissa - "This was my first time farming and I don't think I could have found a better place to learn. Geof and Gina are incredible mentors...funny, knowledgeable, and patient. Geof always seeks to pull out what is best in a person. He knows when to highlight and commend your strengths, but will always push and challenge you to overcome your weakness. He knows the importance of balance.... hard work is always tempered with laughter. He loves nature and his knowledge of the subject is endless. His pride of Maine makes him a wonderful host, always sharing the beauty and history of his home. Gina was just as patient and supportive. She was equally as gracious of a host, finding time amidst all of her responsibilities to make hot chocolate and scones on the rainiest of days. They are both incredible mentors who offer a "yin and yang" of technique and thought. Farming is such a personal way to provide for one's family. Yet, Geof and Gina were always trusting and open with us. 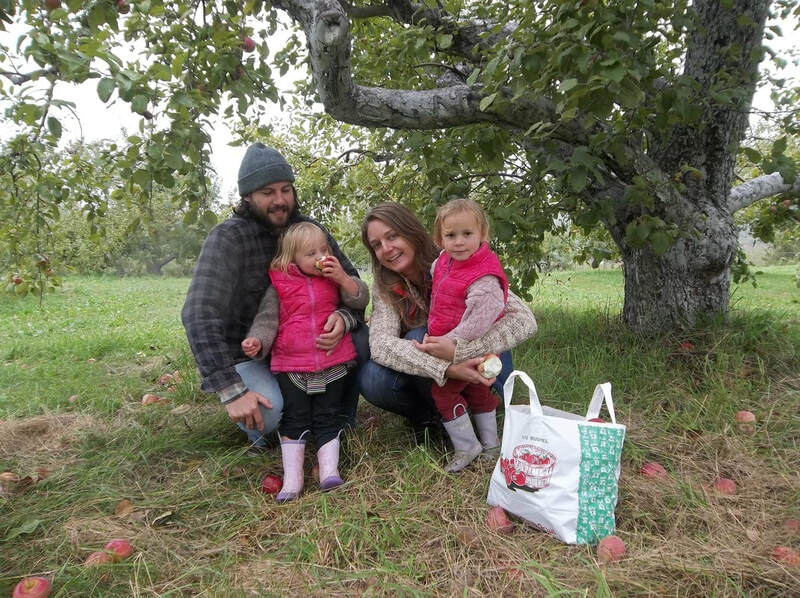 This trust helped us to learn very quickly what farming is all about. 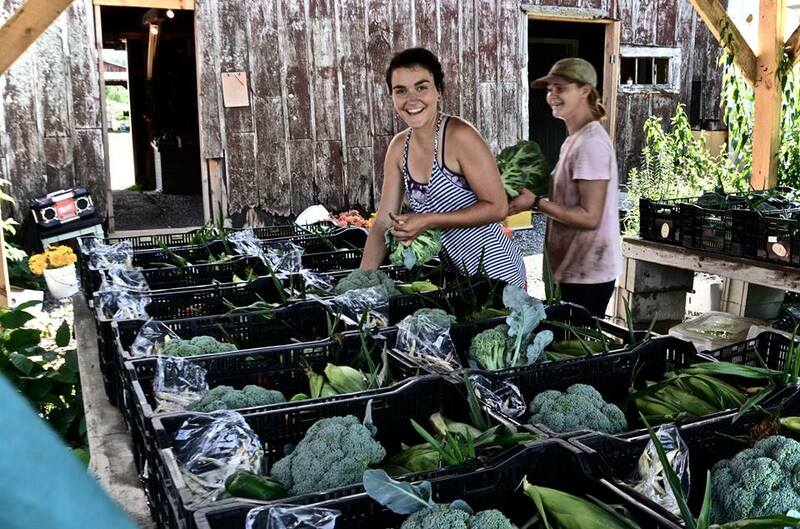 Adeline and Emilia are just as much fun to watch growing as every vegetable in their field. They are just as talented and dynamic as their parents and a wonderful part of the Hancock Family experience. There is not a day that goes by when I do not think about the HFF. There is something very special about the land and the community that exists in that corner of the world. I really don't know what I expected to learn, but I left the HFF with more knowledge of myself, community, and love. Frayser - "My season at the Hancock Family Farm was one of the best summers of my life. 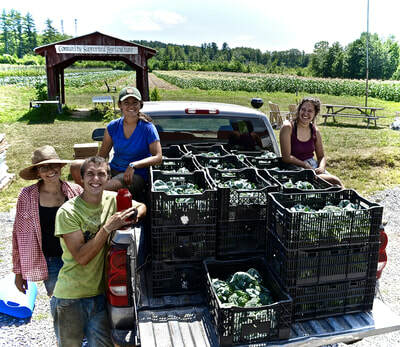 It was a wonderful growing operation in a beautiful area of western Maine. Geof and Gina aren't just farmers by any means. They're teachers and artists as well. There was plenty of instruction, but I learned mostly by being included in all the daily tasks of vegetable production, livestock management, as well as the business side of the farm. Even when the work was particularly strenuous, they always found a way to keep it interesting and our spirits high. We always did the work as a team and relied on each other, but I also appreciated their trust to do many things myself. 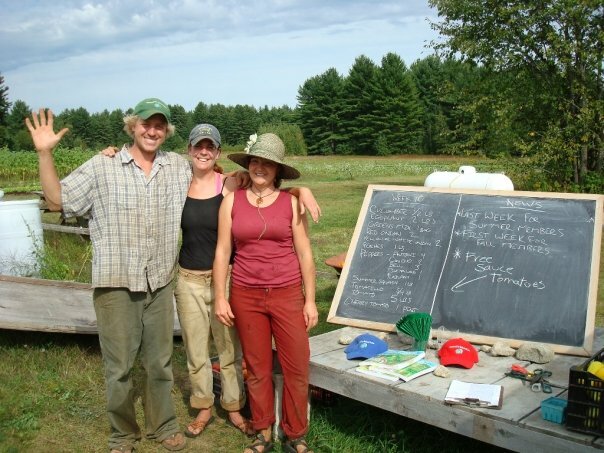 Geof and Gina's business is an open book, and they were a great source of knowledge of all things farm and otherwise. Their distinct personalities and work styles gave dimension to what would otherwise be a one-sided learning experience. Emilia and Adeline are just as distinct, but they are mostly just hilarious. The tight-knit community of friends and farmers in the area were also very fun and welcoming." Leslie - "My apprenticeship at Hancock Family was a wonderful experience that I wouldn't trade for anything. Geof and Gina were knowledgeable, flexible, and always attentive to the needs of their apprentices. Their passions for farming, family, and community were present in all that we did. I had both the opportunity to work right alongside them, benefiting from their extensive farming experience, and to work independently with my own responsibilities. Geof and Gina were always patient with me, whether I was feeding the livestock for the first time, struggling to keep up with the rush at farmers' markets, or learning to drive their beloved tractor around the fields. I learned every part of the farming process, from planting in the spring to preparing the fields for winter, and I had an active part in all of it. 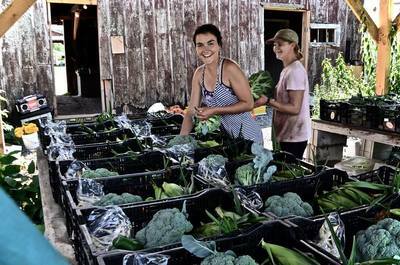 I now feel confident and experienced in producing healthy food in a sustainable way. 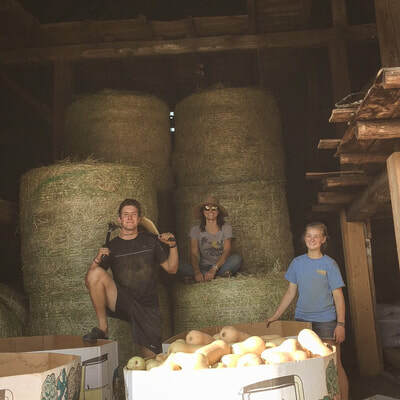 Most importantly, during my apprenticeship with Geof and Gina I always felt that I was not only a part of their farm, but a part of their family. It was a fantastic season!" Becky - "I had the pleasure of working with Geof for the 2008 growing season. I can say that as a mentor and manager Geof always thinks of others first. No matter how tired he always finds time to answer questions, provide feedback, and afford encouragement (and at times a little friendly competition). His easy going nature makes it possible for personalities to blend no matter how different they might be. He strives to be the best and he strives to make his apprentices the best as well." Terra - "I was an apprentice on the Hancock Family Farm for the summer of ‘08. Geof is probably one of the most patient, easy-going people to have a mentor. For one, he somehow was never too busy or tired to endure my endless amount of questions. For this reason, I left my time with him with a solid enough understanding to now manage a farm on my own! Geof was always ready to listen to any concerns I had, whether about the farm or my personal life. As any successful farmer should be, he was observant and flexible. He will challenge you, but knows when to provide guidance and when to step back. He is extremely generous and kind, and made stops for ice cream an integral part of my farming experience! Geof can be an extremely social person at times and cares deeply about his community, so his circle of friends and acquaintances reaches far and wide. Probably one his most endearing traits is his ability to keep a sense of humor and positive attitude at the end of even the most exhausting days." Evan - "I have never had so much fun farming as I did working with Geof. Few people bring the amount of passion and enthusiasm to their work that he does. Now that Gina brings her knowledge and care to the farm I expect great things to come from the HFF. Hancock Family Farm is my hands down favorite farm." Julianna - "It was always a pleasure-- they kept morale high and never failed to see the endless good in what we were accomplishing. I learned sooo much, most of which they naturally shared in a stream-of-consciousness type way while we were weeding or planting or picking bugs. Working at the farm definitely gave me a new perspective on how everything ties together: the weather, soil, plants, people--all that science stuff I learned in a classroom but never really experienced. Very cool."